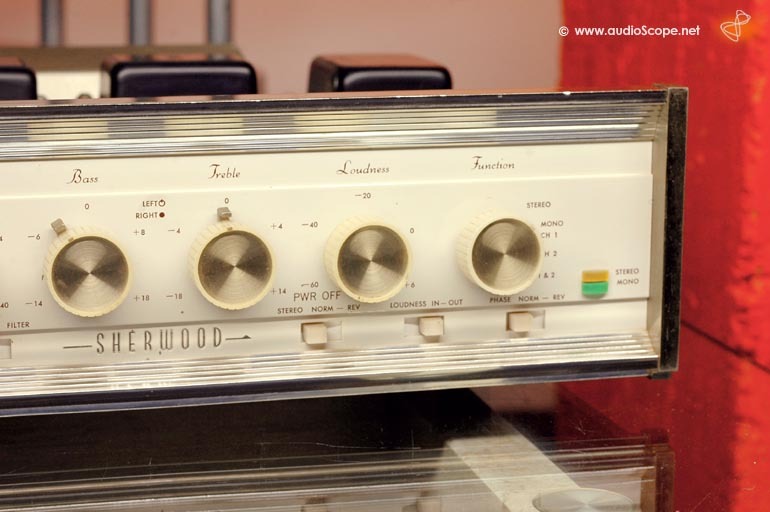 Sherwood S-5500 MK2, Tube Amp for sale. 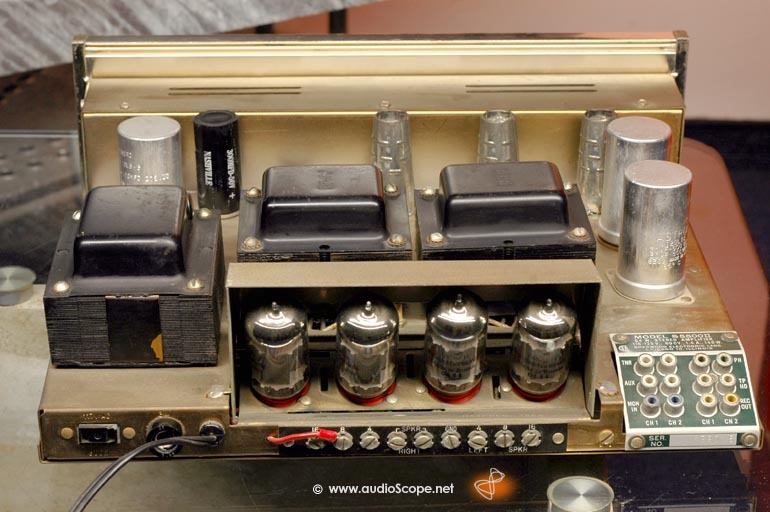 Extremly rare Sherwood tube amplifier with 32 + 32 watts rms into 4, 8 and 16 Ohms. Typical 60ies style. 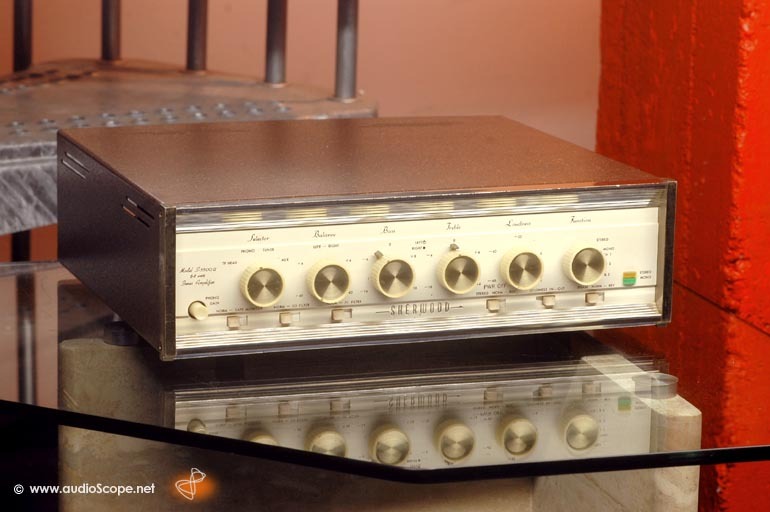 This Integrated tube amp with the 4 x 7868 output pentodes rocks big time! We tested it with JBL 4335 studio monitors in a huge room, 100 square meters and 5 meters high ceilings. This combination filled easily the room with an incredible rich and precise bass fundament. 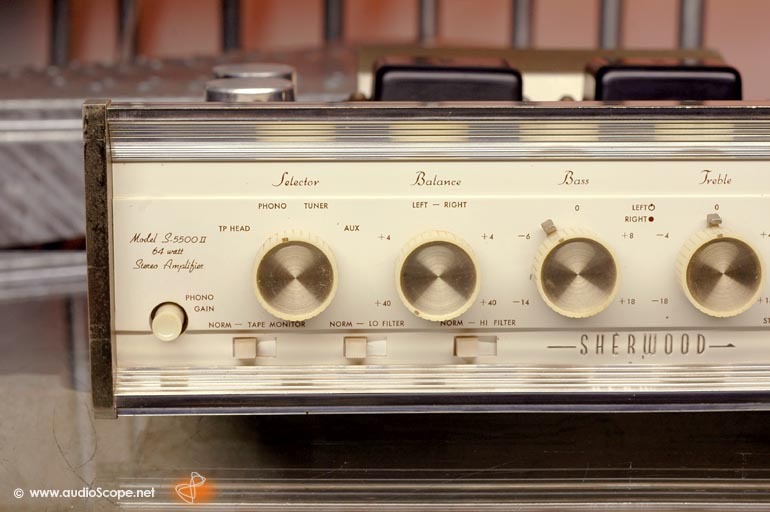 The only comparable amplifier is the amp unit of the 1967 Pioneer SX-800A. A very graceful sound without any importunity. 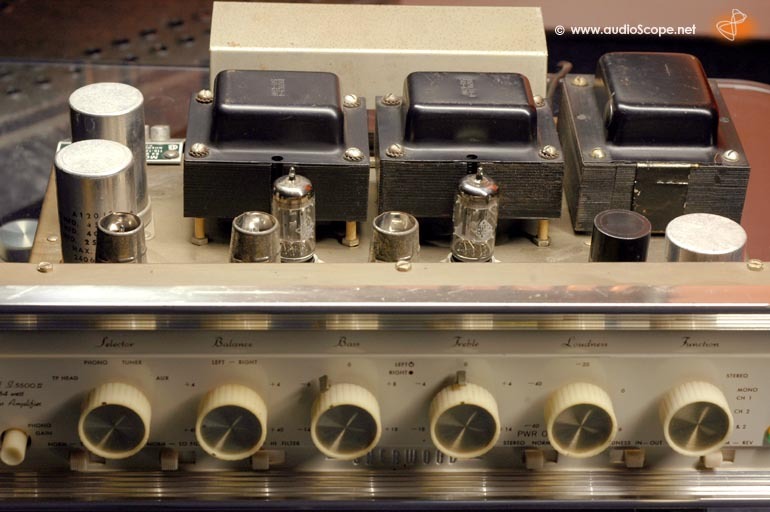 The optical condition of this more than 40 years old unit is extremly nice. You will find some light wear, but the over all condition is wonderful. Technically, just revised and adjusted. 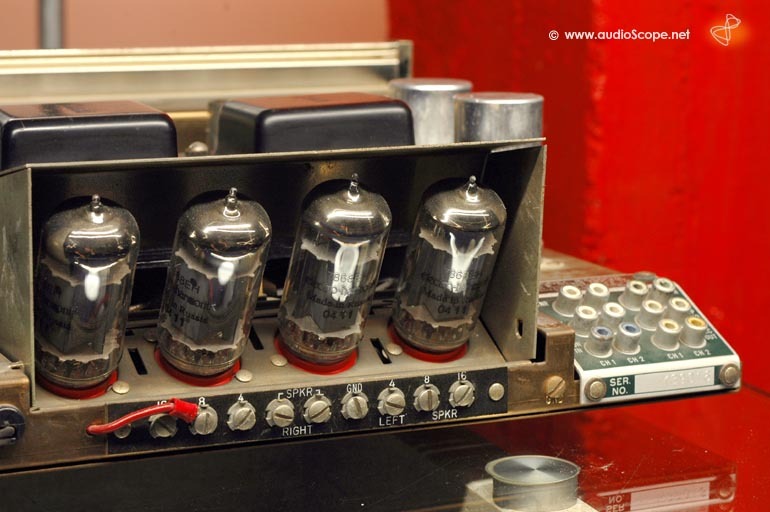 This amp comes with 4 brand new output tubes. 110 volt unit, can be delivered with an external power converter.